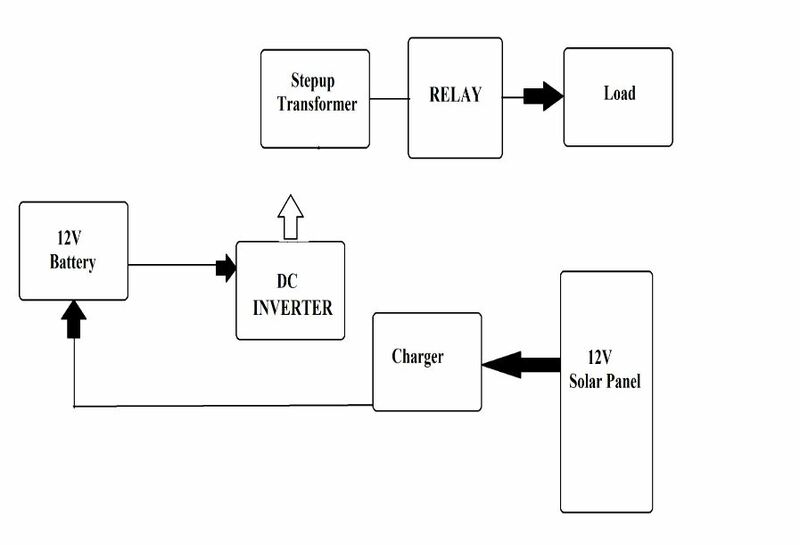 Inverters are widely used in the domestic as well as industrial environments to serve as second line of source in case of power cut form the electricity utility grids. However, due to low capacity of the battery the inverter dies out with the use of heavy load appliances. This project is designed in such a way that it overcomes this limitation by the use of solar energy. 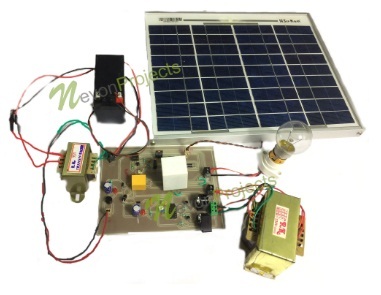 Hybrid Inverter with Solar Battery Charging System consists of an inverter powered by a 12V Battery. 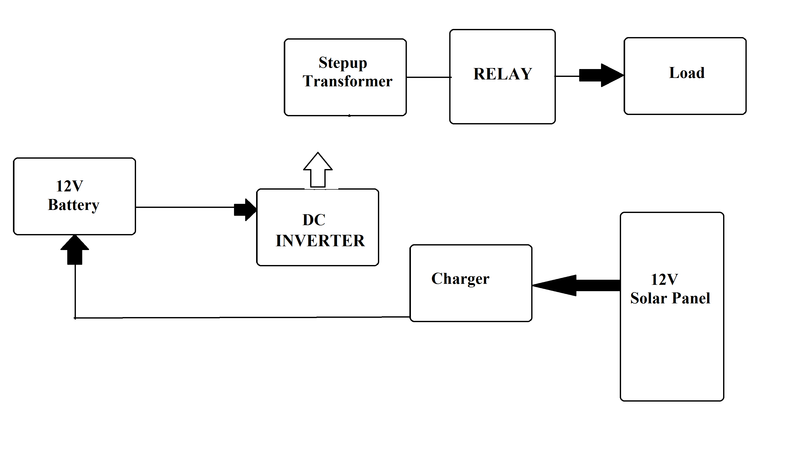 This inverter generates up to 110V AC with the help of driver circuitry and a heavy load transformer. This battery gets charged from two sources, first being the mains power supply itself. 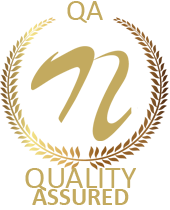 If the mains power supply is available, the relay switches to the connection using mains power supply to supply to the load. This power supply also charges the battery for using it as back up the next time there is power outage. 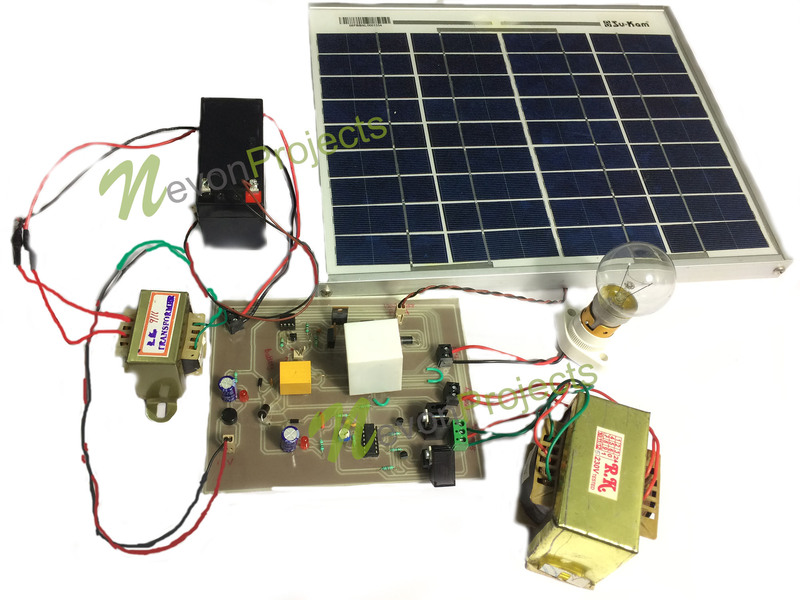 The use of solar panel to charge the battery gives an additional advantage of surplus power in case the power outage of mains is prolonging. Thus this inverter can last for longer duration’s and provide uninterrupted power supply to the user.